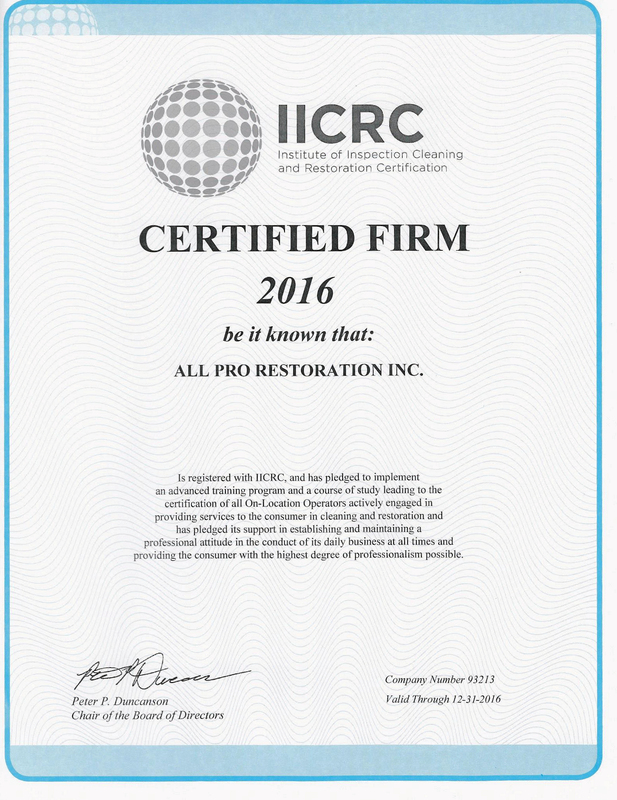 All Pro Restoration, Inc., is proud to be an IICRC certified company with over 30 years of experience remediating storm, water, fire, mold and sewage damage. The Institute of Inspection Cleaning and Restoration (IICRC) is an organization that doesn’t just uphold the highest standards, they set the highest standards. Being a certified company means that our professional technicians have taken courses and exams on how to thoroughly and safely restore homes and commercial buildings in East Tennessee.